Discussions Magazine Music Blog: L7: An EXCLUSIVE Q&A with DONITA SPARKS! 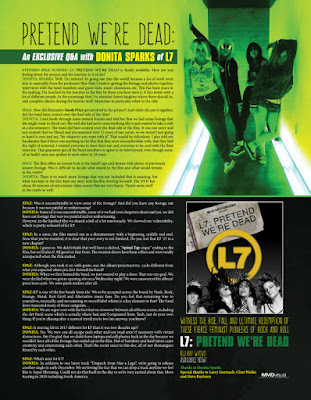 L7: An EXCLUSIVE Q&A with DONITA SPARKS! 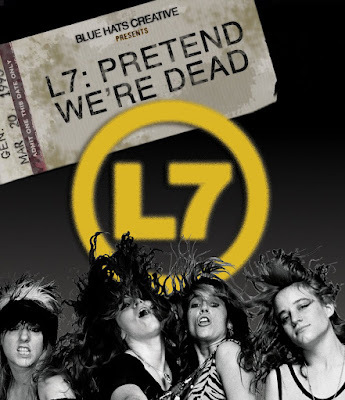 STEPHEN SPAZ SCHNEE: L7: PRETEND WE’RE DEAD is finally available. How are you feeling about the project and the reaction to it so far? DONITA SPARKS: Well, I’m relieved it’s going out into the world because a lot of work went into it, especially from the producers Blue Hats Creative: getting the footage and photos together, interviews with the band members and guest stars, music clearances, etc. This has been years in the making. I’m touched by the reaction to the film by those you have seen it. It hits home with a lot of different people. In the screenings that I’ve attended there’s laughter where there should be, and complete silence during the heavier stuff. Musicians in particular relate to the ride. SPAZ: How did filmmaker Sarah Price get involved in the project? And while she put it together, did the band have control over the final edit of the film? DONITA: I met Sarah through some mutual friends and told her that we had some footage that she might want to check out. She said she had never seen anything like it and wanted to take a stab at a documentary. The band did have control over the final edit of the film. It was our story and our content that we filmed and documented over 15 years of our career, so we weren’t just going to hand it over and say, “do whatever you want with it”. That would be ridiculous. I also told my bandmates that if there was anything in the film that they were uncomfortable with, that they had the right of removal. I wanted everyone to have their say, and everyone to be cool with the final outcome. That guarantee got all the band members to agree to be interviewed, even though some of us hadn’t seen nor spoken to each other in 18 years. SPAZ: The film offers an honest look at the band’s ups and downs with plenty of previously unseen footage. Was it difficult to decide what stayed in the film and what would remain in the vaults? DONITA: There is so much more footage that was not included that is amazing, but what was kept in the film kept our story and the film moving forward. The DVD has about 30 minutes of extra home video scenes that are very funny. There’s more stuff in the vaults as well. SPAZ: Was it uncomfortable to view some of the footage? And did you leave any footage out because it was too painful or embarrassing? DONITA: Some of it was uncomfortable, some of it we had even forgotten about and yes, we did leave out footage that was too painful and/or embarrassing. However, in the finished film we shared a hell of a lot emotionally. We showed our vulnerability, which is pretty unheard of for L7. SPAZ: In a sense, the film started out as a documentary with a beginning, middle and end. Now that you’ve reunited, it is clear that your story is not finished. 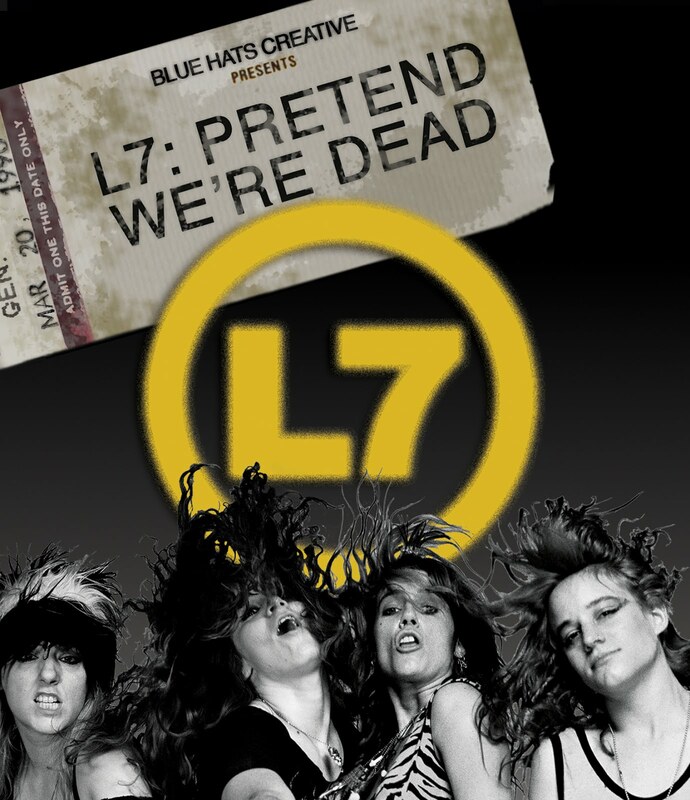 Do you feel that L7 ’17 is a new chapter? DONITA: I guess so. We didn’t think that we’d have a cliched, "Spinal Tap-esque" ending to the film, but we’ll take it! All good on that front. The reunion shows have been a blast and were totally unexpected when the film started. SPAZ: Although you took it on with gusto, was the album/press/tour/etc. cycle different from what you expected when you first formed the band? DONITA: When we first formed the band, we just wanted to play a show. That was our goal. We were thrilled when we got an opening slot on a Wednesday night! We were unaware of the album/press/tour cycle. We were punk rockers after all. DONITA: We are super cool with the fact that we crossover between all of those scenes, including the Art Punk scene which is actually where Suzi and I originated from. Yeah, just do your own thing. If you’re chasing after a musical trend you’re too late anyway, you know? 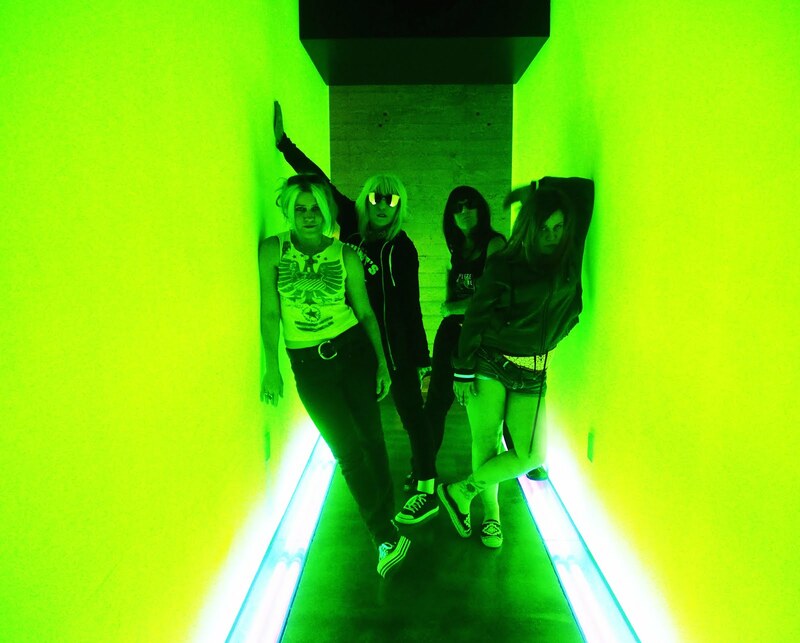 SPAZ: Is touring life in 2017 different for L7 than it was two decades ago? DONITA: Yes. We now can all escape each other and our road crew if necessary with virtual distractions. But I’m glad that we didn’t have laptops and cell phones back in the day because we wouldn’t have all of the footage that ended up in the film. Out of boredom and hard times came creativity and entertaining each other. That’s the secret sauce to this doc, all of our shenanigans filmed by each other. SPAZ: What’s next for L7? In addition to our latest track “Dispatch from Mar-a-Lago”, we’re going to release another single in early December. We are loving the fact that we can drop a track anytime we feel like it. Super liberating. Could not do that back in the day so we’re very excited about that. More touring in 2018 including South America.